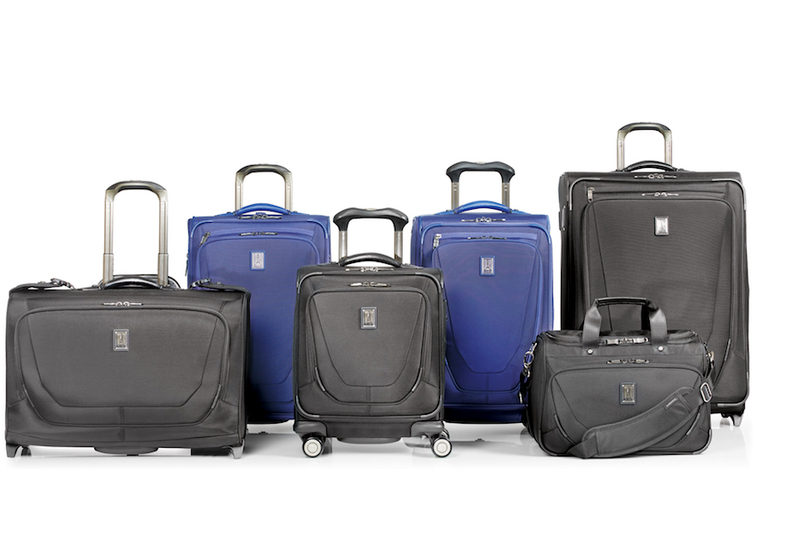 What Tests Does Travelpro Put Crew™ 11 Luggage Through? Road warriors and frequent business travelers need luggage that will see them through hundreds of thousands of miles and hundreds of hours in the air. You need something that will last for years and not fail on you at the most inopportune moment. As you would suspect, we have tested every element of Crew 11 with a series of machines developed to test the strength and durability of all our models. For example, the top and side carry handles are put through a jerk test by attaching a fully loaded bag to a machine that roughly lifts, drops, and jerks it, testing the handles as well as the screws that secure them to the bag. Our high performance wheels are tested for mile after mile over multiple surface types to simulate road warrior usage. It’s been 24 years since Robert Plath, a Northwest Airlines 747 pilot and founder of Travelpro, slapped a set of wheels and an extension handle on a suitcase and changed travel forever. Rolling luggage satisfied a need travelers didn’t know they had. Few inventions have changed the travel landscape like Plath’s Original Rollaboard®. However, today’s manufacturers continue to turn the heads of luggage shoppers with smart and useful innovations. In the wake of post-9/11 security, checkpoint-friendly luggage designs allow travelers to keep their laptops (and tablets, like the iPad) in their bags while going through security checkpoints. These checkpoint-friendly bags have either a separate fold-down section or a standalone protective sleeve that is easily inspected. With all of these designs, moving through security is now a breeze. 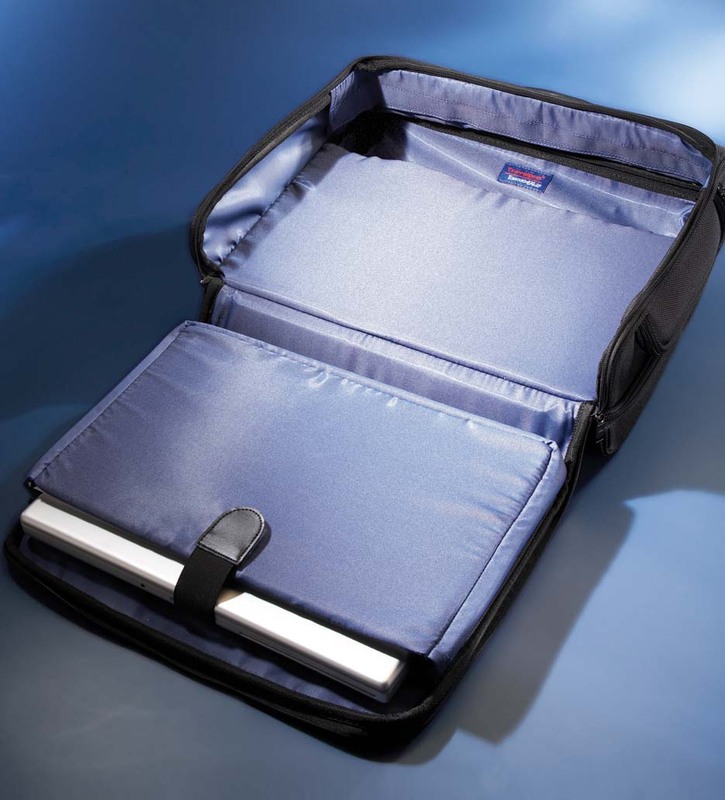 Checkpoint-friendly designs can be found in business cases and backpacks. Figuring out how to lighten lightweight bags and maintain durability is what keeps luggage engineers very busy today. With airlines lowering weight allowances, super lightweight bags allow travelers to pack more without incurring penalties. So lighter bags can save you money, but they most hold up over the long run. The key components that’ll lighten the load in your bag: honeycomb framing, durable EVA foam for stiffness and sleek contours, telescoping aluminum handles and nylon fabric. Easy access to business stuff inside the bag has become an essential feature for business travelers on the go. Pens, business cards, keys, CDs, computer accessories, folder and books pouches, a laptop and iPad can be stashed for easy storage and retrieval in today’s typical business organizer. Interior accessory pockets can be used for bulky electronic gear and assorted cables as well. The most popular bags featuring business organizers are backpacks, smaller uprights or carry-ons, business cases and totes. Drop-bottom designs have added a whole new dimension to packing a duffel. Using a zippered divider, this innovative feature allows you to pack in smaller compartments, thus preventing clothes from bunching and wrinkling. Many duffels also add small zipped compartments at the ends of the bag for shoes, cables and last-minute items. Again, this feature prevents your things from moving around in a big duffel. Shorter and wider than traditional carry-ons, the 20-inch Widebody bag is roomy yet still fits easily into overhead bins. They give you the added capacity of a 22-inch bag while still falling into the carry-on category. Because of its slim width, the 4-wheeled Widebody Spinner bag can be easily pushed forward up an aisle, without catching on seats or passenger elbows. Lightweight, durable and innovative luggage is the hallmark of Travelpro, founded by pilot Robert Plath. Today flight crews and pilots of over 80 airlines use Travelpro products. Visit www.travelpro.com to view Travelpro’s many collections. We were recently published in the New York Times (Joe Sharkey’s “On the Road” column: Reinventing the Suitcase by Adding the Wheel). It was 40 years ago that Bernard Sadow invented the first rolling suitcase, taking some casters from a rolling wardrobe and putting them on a large travel suitcase. Although acceptance was slow at first, the product eventually took off and it paved the way for Robert Plath, a pilot for Northwest Airlines, to invent the first Rollaboard® carry-on bag, which was quickly embraced by airline pilots and flight attendants. Robert Plath left Northwest and moved on to found Travelpro, where he began to design and manufacture Rollaboard luggage for all travelers. Since then, Travelpro has grown to be a leader in the luggage industry, helping business and leisure travelers get from Point A to Point B with comfort and ease. While our primary focus is making our customers happy, we can’t help but feel good when someone like the The New York Times mentions us in one of their articles. So, like Joe Sharkey, we want to salute Bernard Sadow for paving the way for people like Robert Plath and companies like Travelpro.